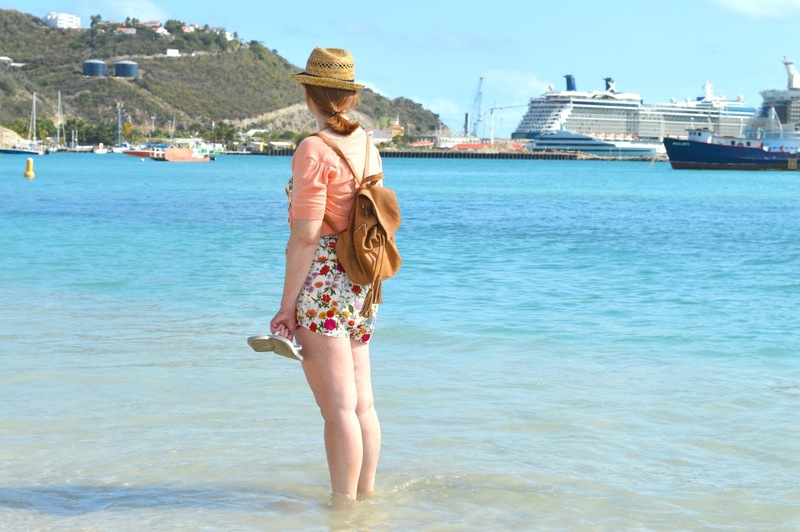 Of all the islands we visited on our Caribbean Cruise there was one that we completely fell in love with and that was St Maarten, I could honestly sit here for hours telling you what an amazing place it is and just typing this now makes me desperate to return. We booked a 4.5 hour tour with Bernard Tours which cost $40 per person and had a great itinerary showing off the very best of the island. St Maarten is pretty unique as the island is half French and half Dutch with a distinct difference between the two sides that somehow works. Crossing over the border the language, licence plates and currency changes yet both sides of the island live in harmony. 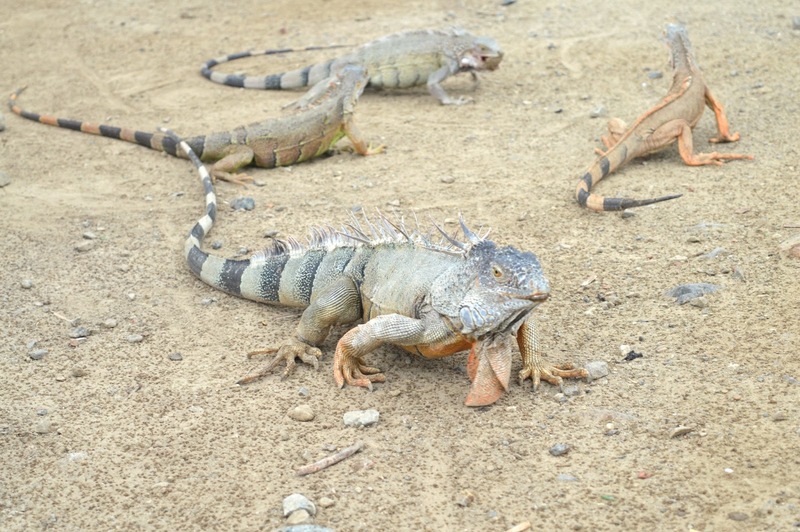 Our first stop of the trip was to visit the iguanas who live close by the road side and, when not terrorised by passing children, love to come out and show off to the tourists. I'd never seen an iguana in the wild before and they were quite a special sight, the closest I'll ever get to seeing a real life dragon! I will admit I didn't want to get too close, these guys moved fast and their little teeth looked pretty sharp. 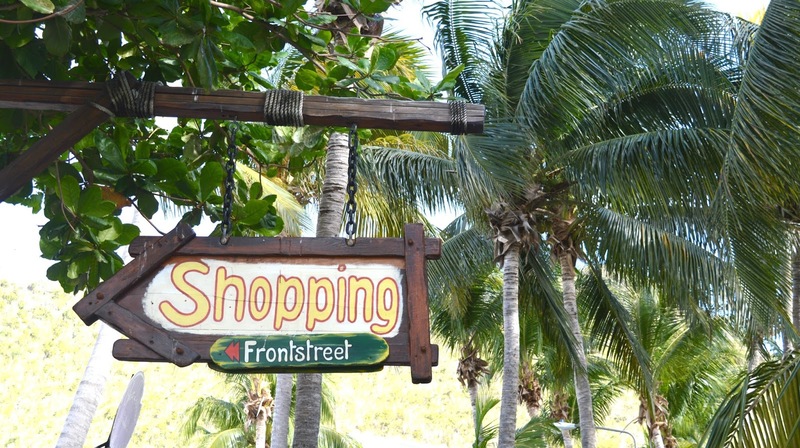 We ventured onto the French side of the island with a visit to Marigot Bay, an open market surrounded by a beautiful harbour, plenty of bars and some delicious French bakeries. With over an hour to play with we paid a visit to Sarafina French Bakery where we each chose a cake as well as some macarons. With a counter full of pastries, cream cakes, crepes and giant baguettes to choose from we did pretty well to be so reserved. 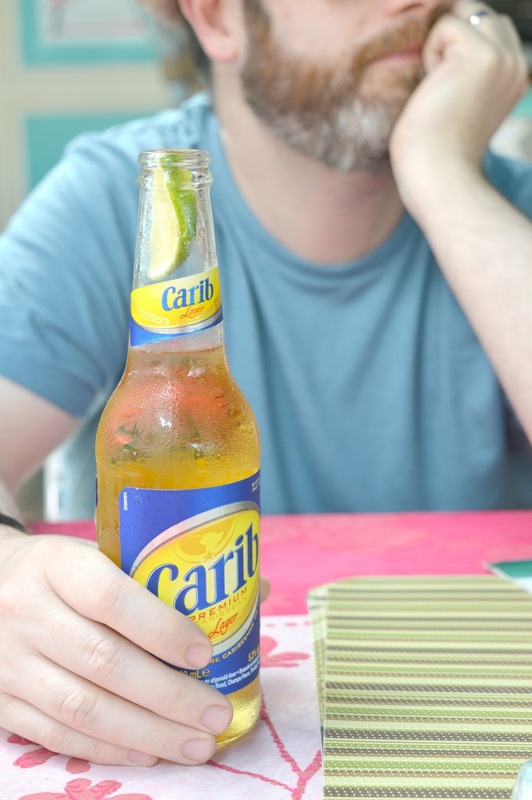 Of course, consuming all of that delicious French food made us thirsty so we swiftly followed with a quick trip to a bar for a nice refreshing drink - Simon became quite the expert in Caribbean beers by the end of our trip! 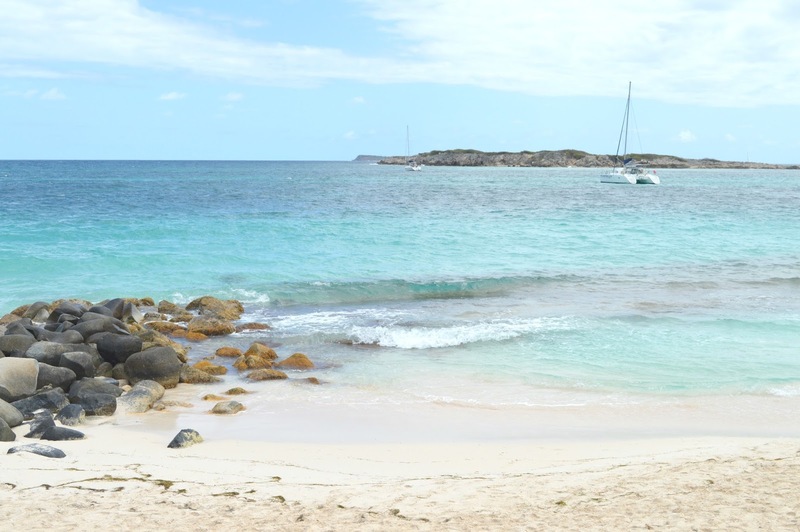 The highlight of our visit to St Maarten was a visit to Maho Beach at Princess Juliana International Airport. 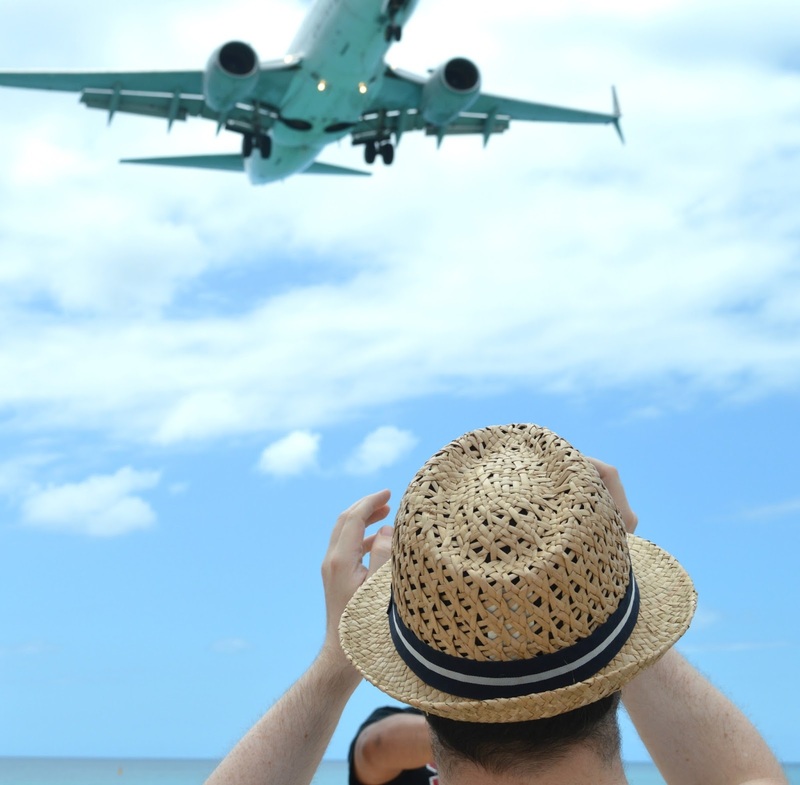 The best place in the world to view aeroplanes, there's nothing like a trip to Maho Beach to make you realise you're a wannabe plane spotter. 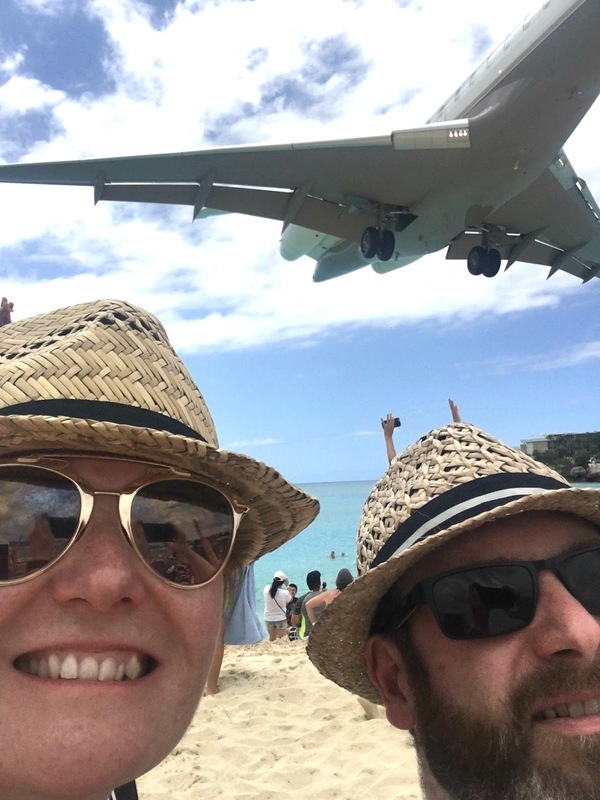 Positioned at the end of a runway in a direct flight path, Maho Beach is one of the best places in the world to watch planes and hoards of tourists flock to the sands each year to watch planes takeoff and land at one of the most dangerous airports in the world. As we approached the beach and saw the amount of people gathered with their phones out and faces looking up to the sky we couldn't help but think they were perhaps a little bonkers. 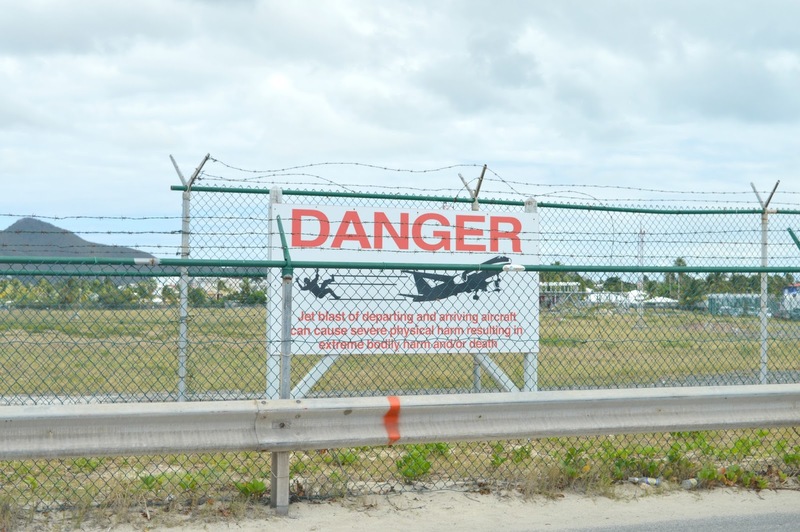 The warning signs scattered about telling you of the dangers of standing in the way of jet blasts should be enough to keep people away yet watching planes land at Maho Beach is a little addictive. In no time we were joining in the craze and when we experienced our first plane coming into land right above our heads we had got the bug and spent a fantastic 40 minutes or so watching planes arrive and take off - each one more thrilling than the last. We honestly could have spent an entire day there! 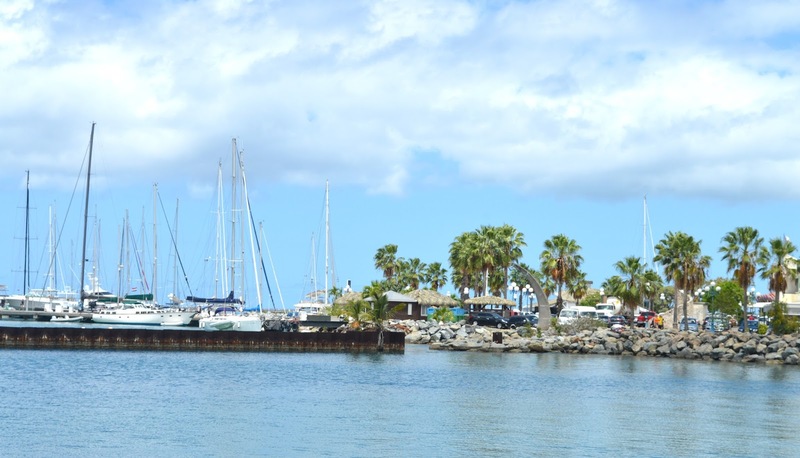 Our tour returned us to the port on the Dutch side of the island with a couple of hours left before we had to be back onboard Celebrity Eclipse so we decided to go for a little wander into Phillipsburg. Most the towns we'd visited in the Caribbean had been pretty small but Phillipsburg was a complete gem with so much to see. 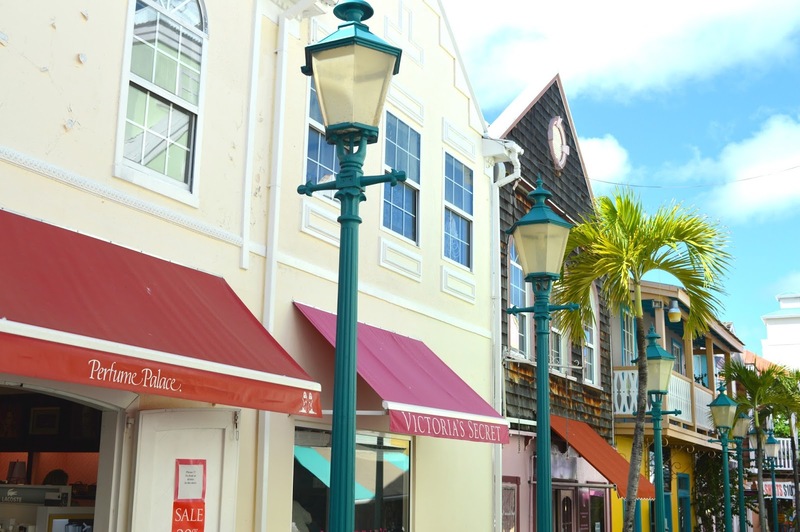 The beautiful Front Street housed most of the shops in beautiful coloured buildings. With no time to pop into any we had to make do with a quick walk of the street for a look, feeling rather sad that there wasn't enough minutes left in our day to appreciate it fully. We headed back to the ship via the beach where I had a quick paddle in the water whilst sulking that we'd discovered the perfect island and there was no time to fully explore it. We had to be back onboard by 5:00 pm that night and our visit to St Maarten was one of the shortest of all our island visits. As Celebrity Eclipse left the island I honestly could have burst into tears, it was the last island of our Honeymoon and we really had saved the best until last. Both Simon and I are desperate to return to explore the island fully. One day we hope to visit again! Ah lovely! The tours you booked yourself seem like very good value for money. In Mexico you can be lying on your sunlounger by the pool and an iguana will just wander past - it's very bizarre! Some fab pics. Looks like an amazing trip! I would love to stand on the beach - don't know if I would dare!! What a beautiful place! |Your whole trip looked amazing! It must have been amazing to see the Iguanas like that! I can imagine it must have been sad to leave but at least you know you've got a great place to head back to!